Planetary Annihilation’s community-made expansion, Legion, is available now to be played alongside Planetary Annihilation: Titans, adding a host of new units to the game and mixing play up with a brand new faction. How do you rank everything in our list of PC’s best strategy games? Legion represents a year-and-a-half of work, and introduces over 100 new units to make up a faction rivaling any in the base game. This faction can be used in solo or multiplayer, but everyone in the lobby must have the expansion installed for it to work. The Legion faction is built around raw power rather than overwhelming numbers and they’re at their best building their forces and using it to strike when it hits its peak – an assault that both begins and ends a battle. If you want to try the faction out, youy’ll need to get the latset version of the Public Test Environment, as it relies on the game’s latest features to work. 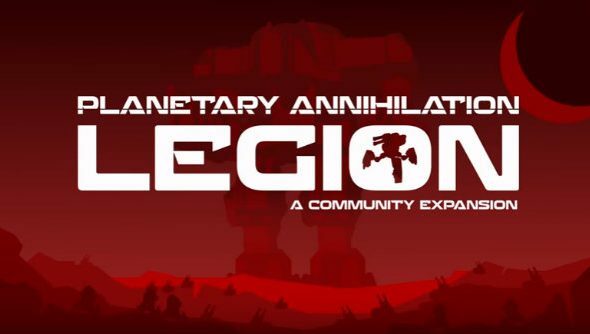 The Legion Expansion is installed from the Community Mods section of Planetary Annihilation. Simply search for “Legion” and choose to install the Legion Expansion, and all required elements will be installed. AI support is included within the mod for skirmish play, but for enhanced AI the developers recommend you try installing the Queller AI as well. For the full lowdown on the new faction, check out the official post.